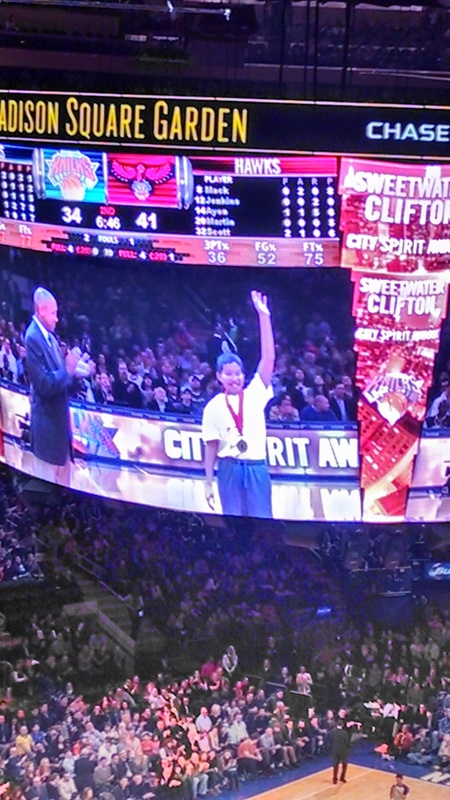 On Saturday, Nov. 16, The NY Knicks awarded me the Sweetwater Clifton City Spirit Award. 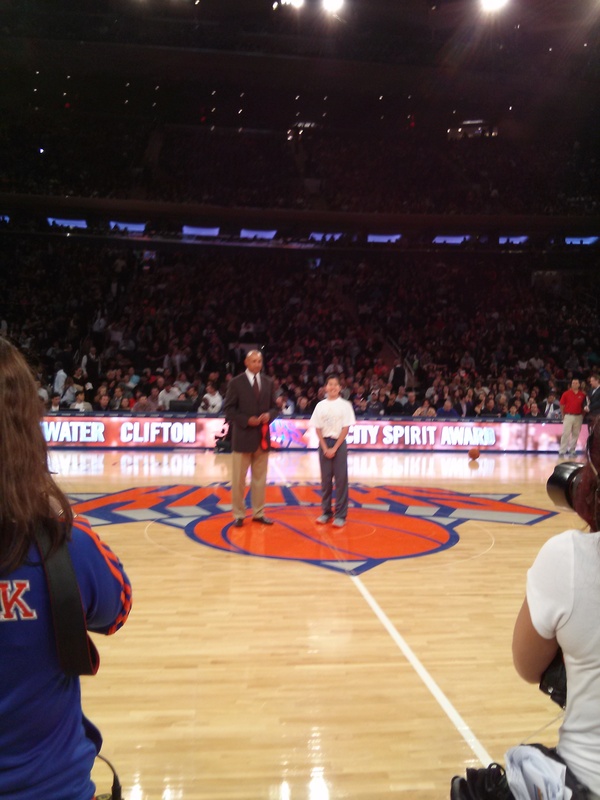 Nat “Sweetwater” Clifton was the first African-American to play for the NY Knicks. I felt so proud and honored to have received this award. Mr. John Starks presented me with a medal in center court. 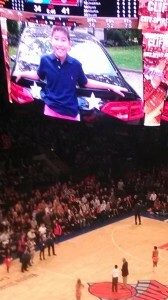 I also received a donation for Stars for Cars which will go to the USO. There was a video presentation which ran behind me that I later saw. The award was important because many people may not have known about the Blue and Gold Star Military Families and they need to have more recognition. I was glad to have had the opportunity to tell the woman who interviewed me from MSG about the Gold Star Mother and her son she lost while he was serving Our Nation in Iraq. I wanted everyone to know that people can lose their lives for us. 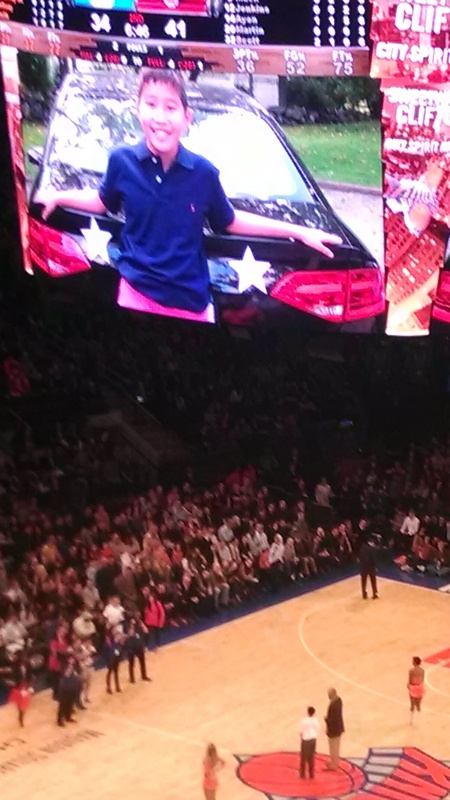 Thank you NY Knicks for recognizing not only Stars for Cars, but “Our Heroic One Percenters.” Please remember that 1% of our country is protecting the other 99%. Thank you to all of the people who attended the game at MSG the other night and watched on TV and listened to the presentation even though it was a time out.